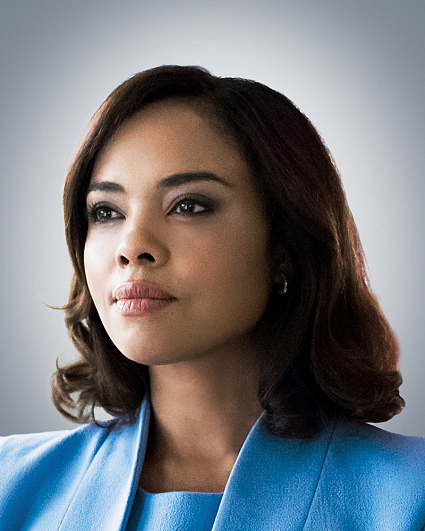 Sharon Leal received international attention for her role in the Golden Globe Award-winning film Dreamgirls, portraying Michelle Morris, the singer who replaced Effie White (played by Academy Award winner Jennifer Hudson) in the female trio The Dreams. Leal recurs on the television series Supergirl and has had series regular roles on Hellcats, Recovery Road, and Boston Public. Also, she has appeared in Person of Interest, CSI: Miami, Suits, Perception, Grimm, and Private Practice. Recently, Leal wrapped back-to-back feature films: a starring role opposite Noah Wylie in the independent drama Shot, and the Netflix film Amateur, alongside Josh Charles. She co-starred in the two ensemble films; the #1 box office hit Why Did I Get Married?, with Tyler Perry, Janet Jackson, and Jill Scott, and the holiday feature This Christmas, alongside Idris Elba, Regina King, and Chris Brown. Her additional feature film credits include Soul Men, Why Did I Get Married Too?, Woman Thou Art Loosed: On the 7th Day, Freedom, 1982, and Addicted. Leal's professional career began in regional theater productions of Ain't Misbehavin', Into the Woods, and Little Shop of Horrors. Soon thereafter, she moved to New York and landed roles on Broadway in Miss Saigon and Rent. Leal went on to star in the original musical Bright Lights Big City at the New York Theater Workshop. While in New York, she produced an original production of Stormy Weather at the Manhattan Theatre Club, in which she starred as the legendary Lena Horne. Leal is a huge fan of the Oakland Raiders and the Golden State Warriors, enjoys boxing, kickboxing, and dancing (salsa and hip hop) in her free time and supports Chrysalis and the Save the Music Foundation. Born in Tucson, Arizona, she now resides in Los Angeles. Her birthday is Oct. 17. Follow her on Twitter @SharonLeal17 and on Instagram @realleal.